Last week we were talking about Vegas and made me crave the crème brulee from Mon Ami Gabi. 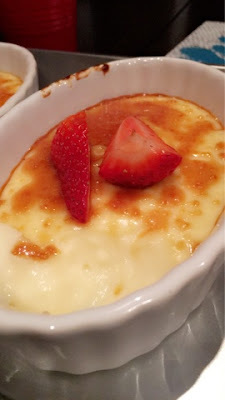 That was one of the most delicious crème brulee's I have ever tried so I decided to try and make some; now its turned out nowhere near the greatness that we had at Mon Ami Gabi but it was still delicious. I looked over few recipes from all over and landed on this one at one of the cookbooks. The original recipe calls for 8/8 eggs to sugar ratio so I improvised a bit. Beat egg yolks, 5 tablespoons white sugar and vanilla extract in a mixing bowl until thick and creamy. 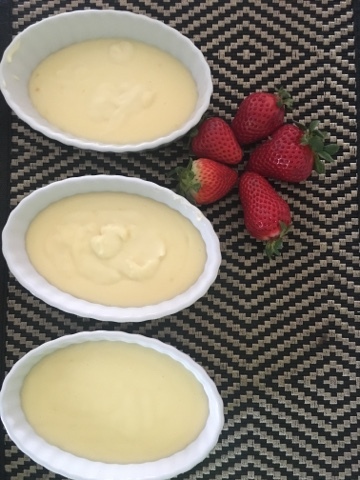 Mix brown sugar and 1 table spoon of white sugar, sift this mixture evenly over custard. Preheat oven to broil or use a blow torch to brown the sugar. Place dish under broiler until sugar melts, about 2 minutes. Watch carefully so as not to burn. Using a blow torch starting at one end melt the sugar mixture, watch not to burn. Top with raspberries (or strawberries) and mint, serve immediately. 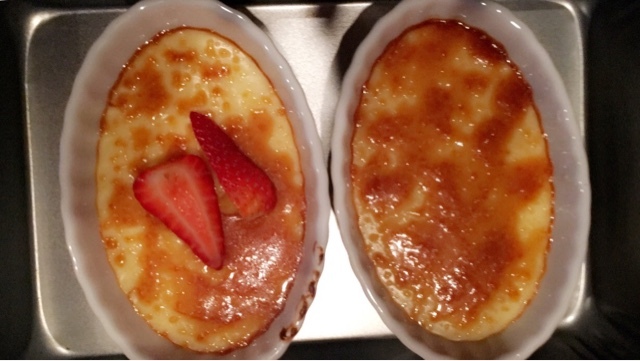 Have you tried making crème brulee? What is your go-to recipe? I have never made a creme brulee. I must give it a try! pinning your recipe! looks delicious!